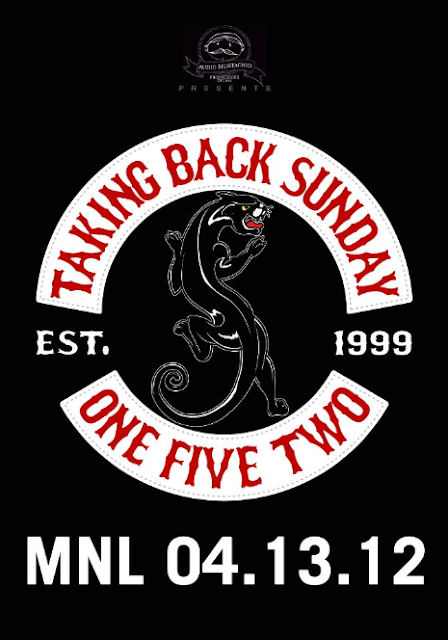 Official date for Taking Back Sunday's Philippine tour is April 13, 2012. I send a huge thanks to the people of Audio Mustachio for making this happen! According to the band's official Facebook page, tickets will go on sale tomorrow, February 24, 2012. But when I checked the band's website, the Philippines is not yet listed on their tour. But anyway, they announced it on Facebook, that will suffice!